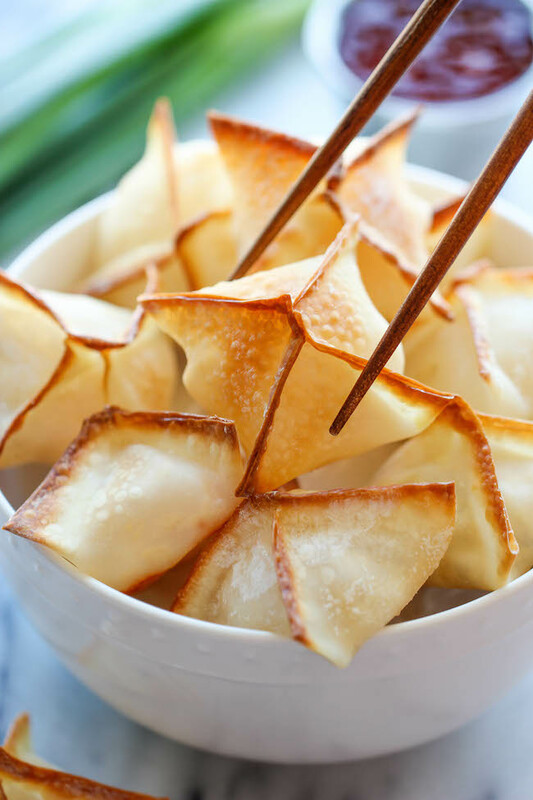 No one would ever believe that these crisp, creamy wontons are actually baked, not fried! Plus, they're unbelievably easy and simple - perfect for a large crowd! In a large bowl, combine shrimp, cream cheese, garlic, green onions, ginger, sesame oil and Sriracha, if using; season with salt and pepper, to taste. To assemble the wontons, place wrappers on a work surface. Spoon 1 1/2 teaspoons of the mixture into the center of each wrapper. Using your finger, rub the edges of the wrappers with egg. Fold all sides over the filling to create an "X", pinching the edges to seal. Place wontons in a single layer onto the prepared baking sheet; coat with nonstick spray. Place into oven and bake for 10-12 minutes, or until golden brown and crisp.